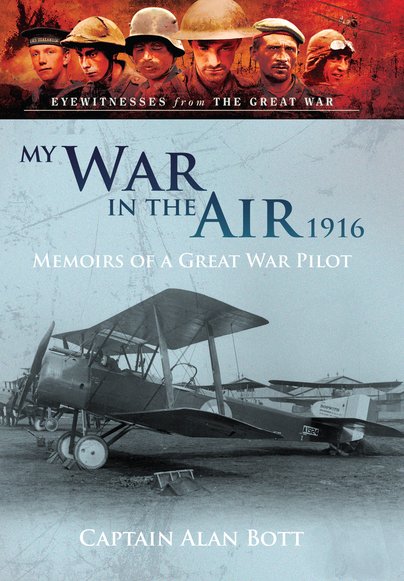 You'll be £14.99 closer to your next £10.00 credit when you purchase My War in the Air 1916. What's this? Originally published under the title An Airman's Outing, this magnificent title chronicles the daily life of the Flying Officer during the Great War. Touchingly dedicated to 'The Fallen of Umpty Squadron R.F.C. ', Bott chronicles the lives and losses of his squadron as they carried out their duties over France in 1916. A modest and unflinching account of Great War aviation, Bott neither aggrandises nor dismisses any achievement of his crack squadron. A squadron that suffered so heavily, holding the record for casualties sustained by any flying squadron during three months, from the beginning of the war to the end of 1916 - a testament to the bravery and determination of the men who continued to serve within it. The reader gets a piece of history unavailable anywhere else with an intimate, personal look inside the life of an unknown two-seater pilot from a century-old war. And that makes it priceless. bombing craft, and in photography. Alan Bott's first volume of wartime memories is a good and interesting read. fire with his gloves and was awarded his Military Cross partly for this action. After the war he also helped to found the famous Pan Books Imprint in 1944, eight years before his death in 1952, where ended the life of a truly extraordinary man and a heroic pilot.